Townley Girl has hit it out of the park once again with their incredibly adorable Minnie Mouse and Frozen Collection. 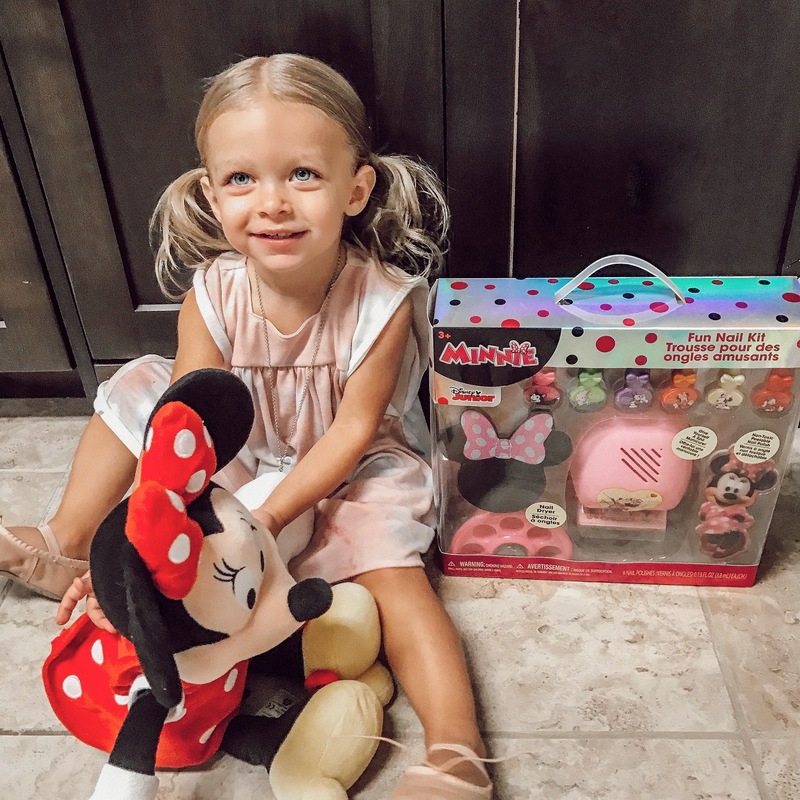 Peyton has been super obsessed with Minnie Mouse or as she calls her “ouse” lately, so i knew i just had to have some of these goodies from Townley Girl. We came across Townley Girl a few months ago and i can honestly say we have fallen in love with their products AND their company. The three words that got me were TOXIC – FREE – MAKEUP. Yes mamas, TOXIC FREE makeup and nail polish. It’s available on amazon and it’s super affordable. It comes with 6 toxic free peelable nail polish which i absolutely LOVE, some minnie nail accessories and a nail dryer. And yes the nail dryer actually works. It’s so fun and perfect for my 2 year old. No more worrying about stained furniture, carpet, walls, toys or clothes. Simply peel off dried polish to remove it from nails. This is a must have and i absolutely recommend it for all little girls. And if you stick around long enough, you might learn about your chance to win one! At only $10.99 – it’s the PERFECT birthday or Christmas gift idea! It comes with 2 clear lip glosses in Grape and Bubble Gum flavor and 2 toxic free nail polishes plus an adorable makeup case. This is what my daughter probably uses the VERY most! She loves the sparkly chap stick and mostly the purse. I love the PRICE! 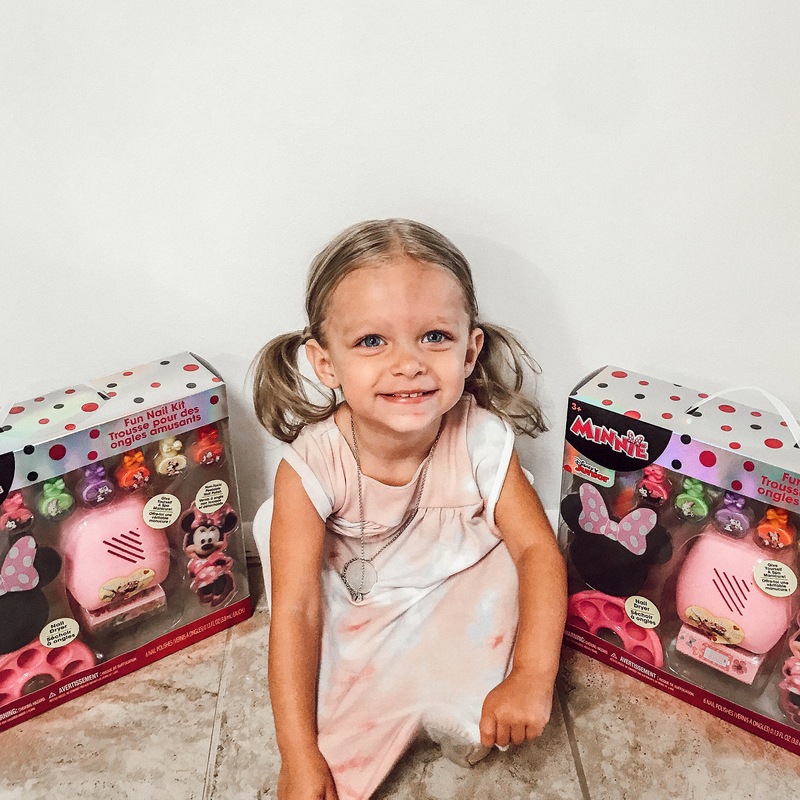 At only $6.99 – every little girl deserves this makeup kit! And remember ladies TOXIC FREE and no mess. 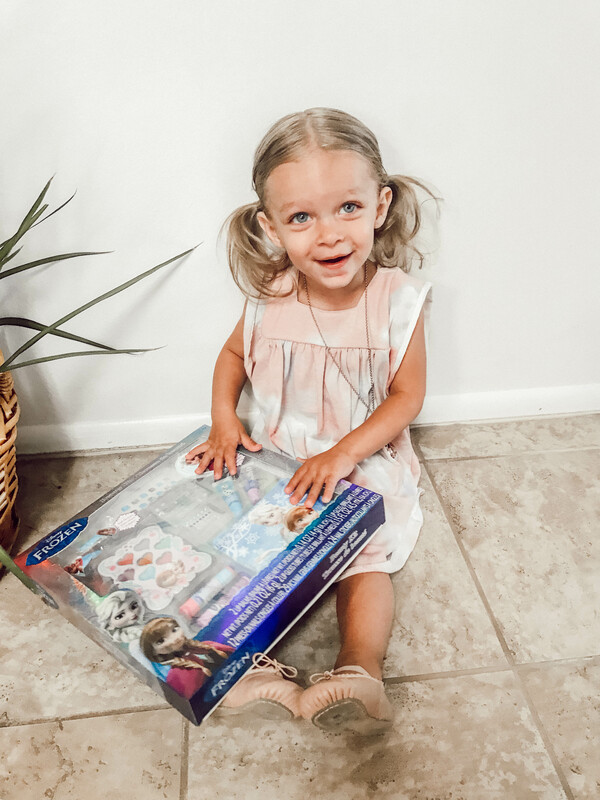 This kit is jam packed with goodies for hours of play! One of my favorite things that comes inside is the hair clips. 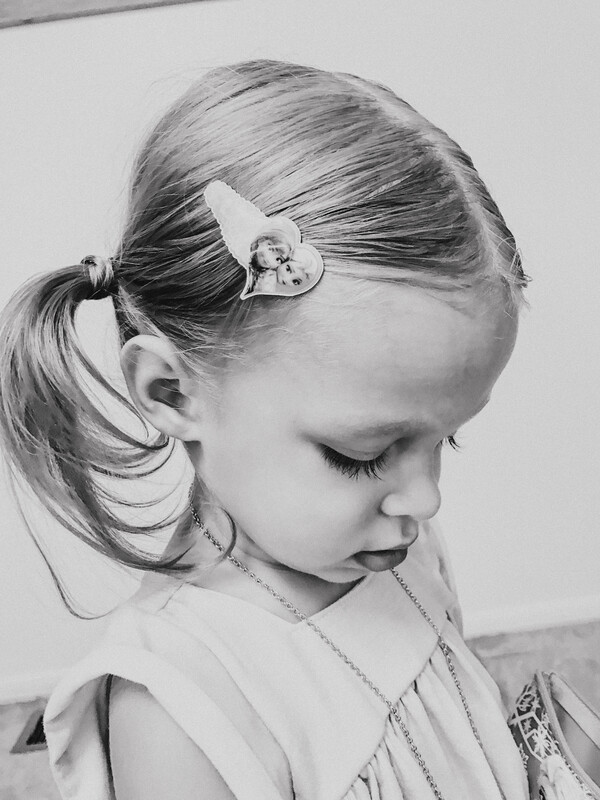 My little one always has her bangs in her eyes but refuses to let me put bobby pins in (two years old going on sixteen haha) but with frozen hair clips – she’s totally okay with it! And how cute are they?! Now for the fun part! A GIVEAWAY!! 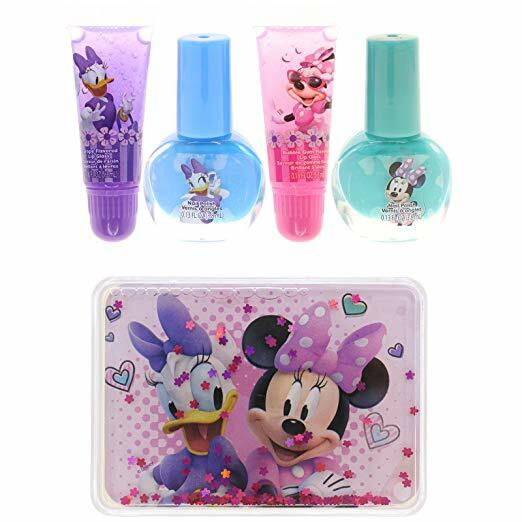 You can win your very own TownleyGirl Disney Minnie Mouse Super Fun Nail Set. 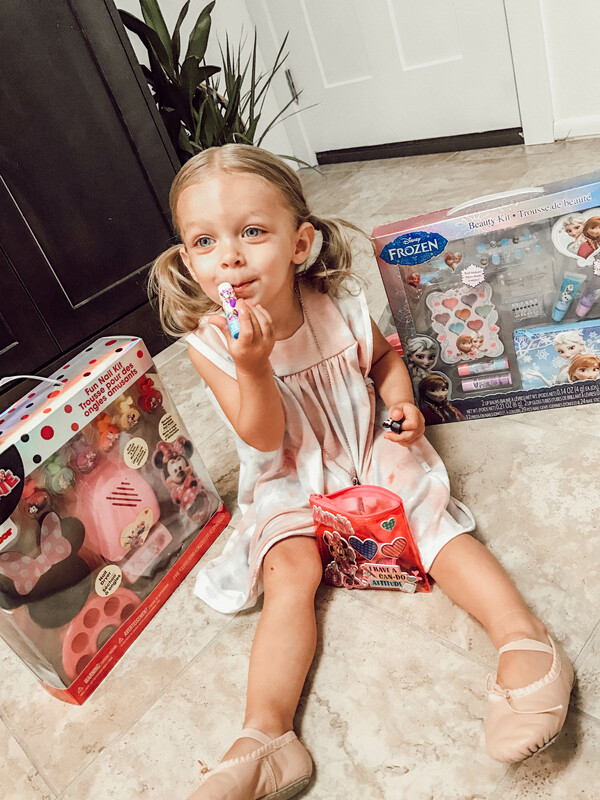 Comment below with your favorite product that i talked about and why your little one would love it! 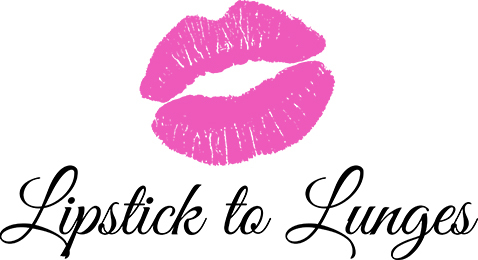 Also head to my instagram @lipsticktolunges and make sure you are following me & @townleygirl on there! That’s it! The winner will be selected on Friday October 5th! My niece and I LOVE the Townley Girl Hotel Transylvania nail set! We watch the movies while we paint our nails! 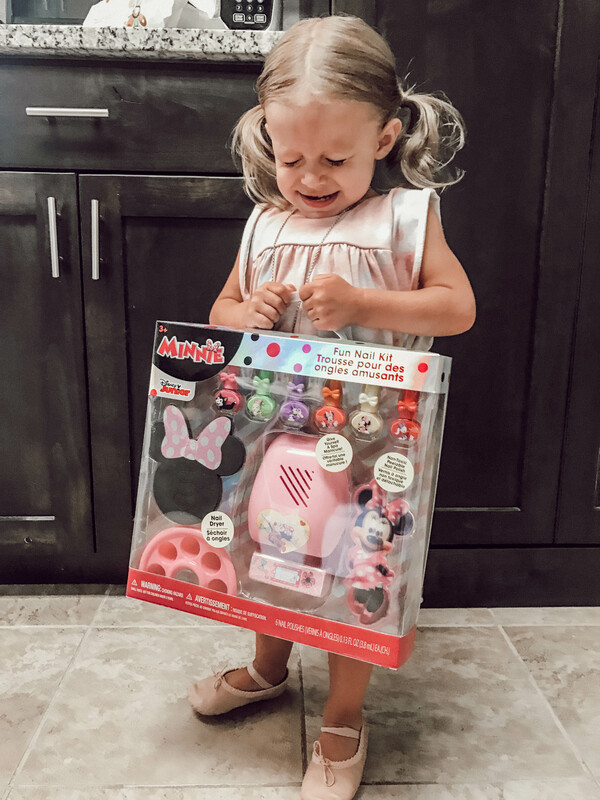 She would love this bigger Minnie Mouse set!